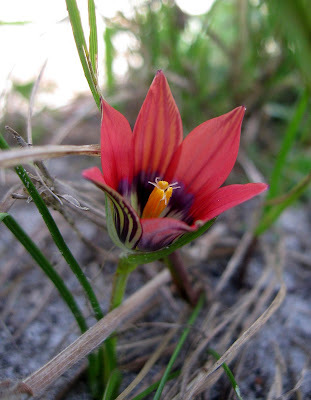 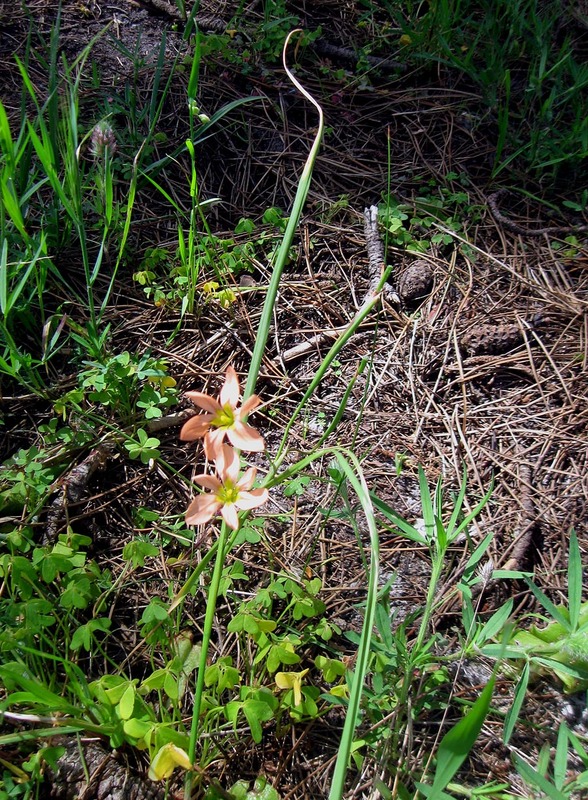 The small but beautiful flowers of Romulea hirsuta. 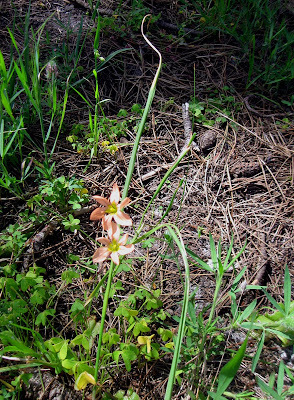 The long trailing leaf of the Groottulp (Moraea flaccida). 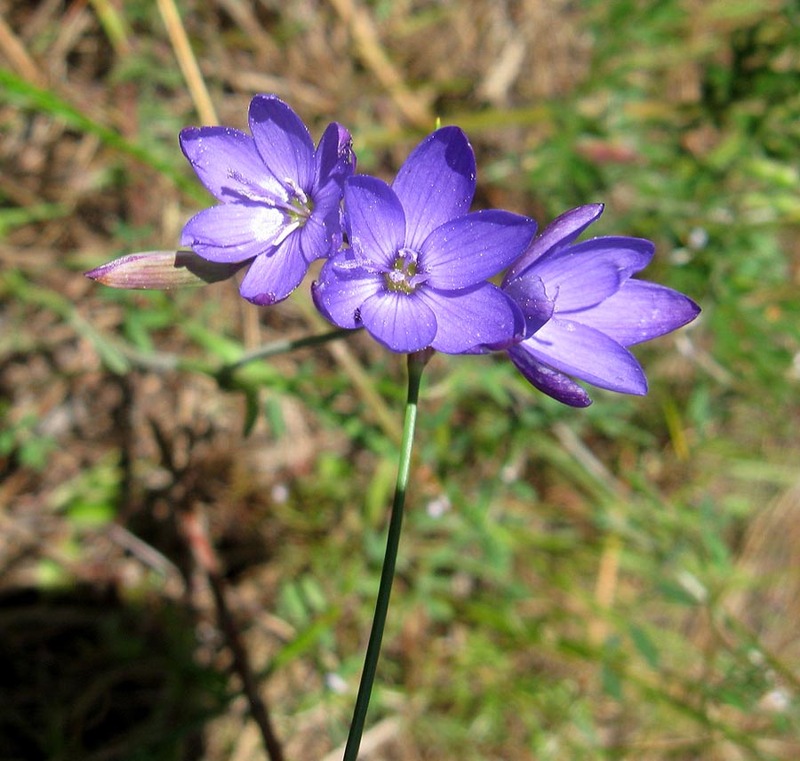 Another spring bulb to look for is the tiny Blue Satinflower or Blousysie (Geisorhiza aspera). 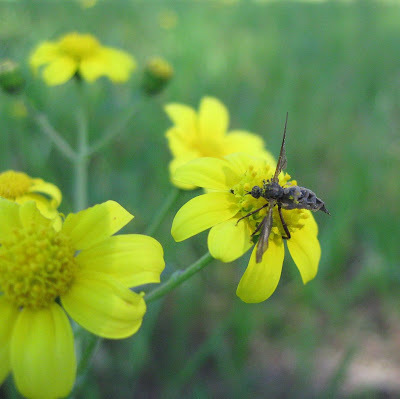 A Dance Fly on Coastal Ragwort or Geelhongerblom (Senecio littoreus). The common name Hongerblom derives from the purported use of some senecios as a tea to boost the appetite. They are also sometimes known as groundsel. 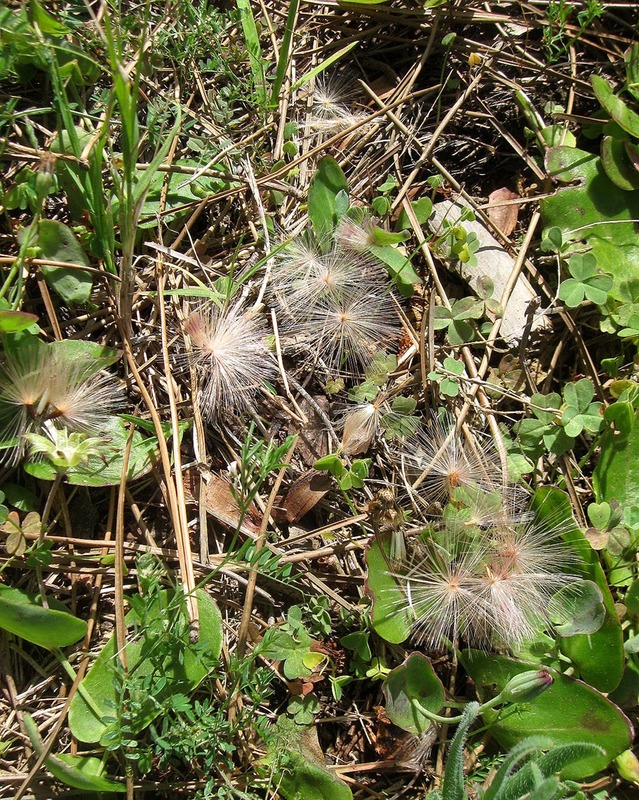 The large fluffy seedheads of the Bobbejaanklimop daisy (Othonna filicaulis). 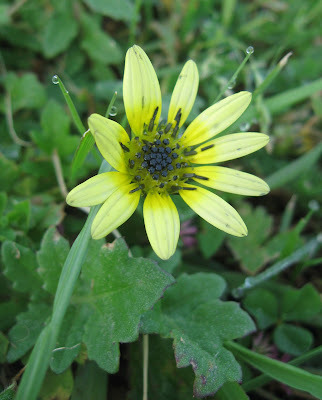 The Common Button Daisy or Ganskos (Cotula turbinata). 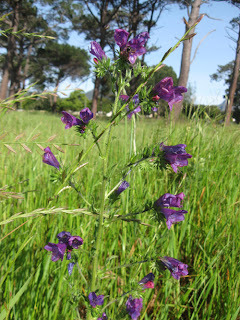 And there are a few plants that are unwelcome on the Common, but still look pretty. The South African Rain Daisy, Dimorphotheca pluvialis does not occur naturally on the Common, but someone once sprinkled some seed on the Common and it has now made itself at home, sometimes engulfing the local flora. 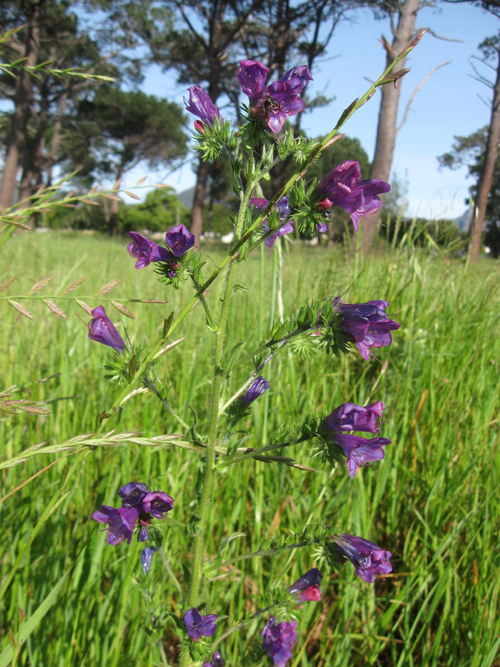 Viper's Bugloss or Paterson's Curse (Echium) is also a weed on the Common that hails from Europe and Asia. 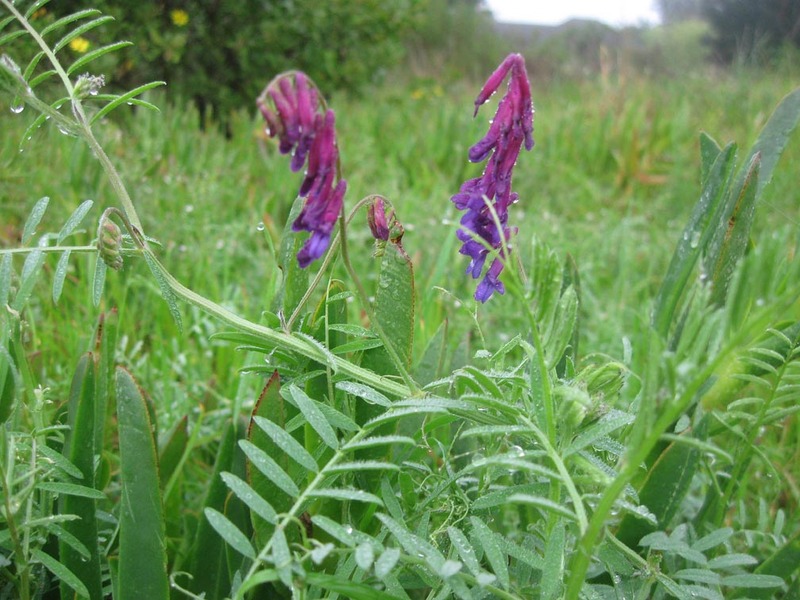 Vicia villosa is a species of vetch native to Europe and Asia and is now a widespread weed on the Common.